Look at the things I helped make! 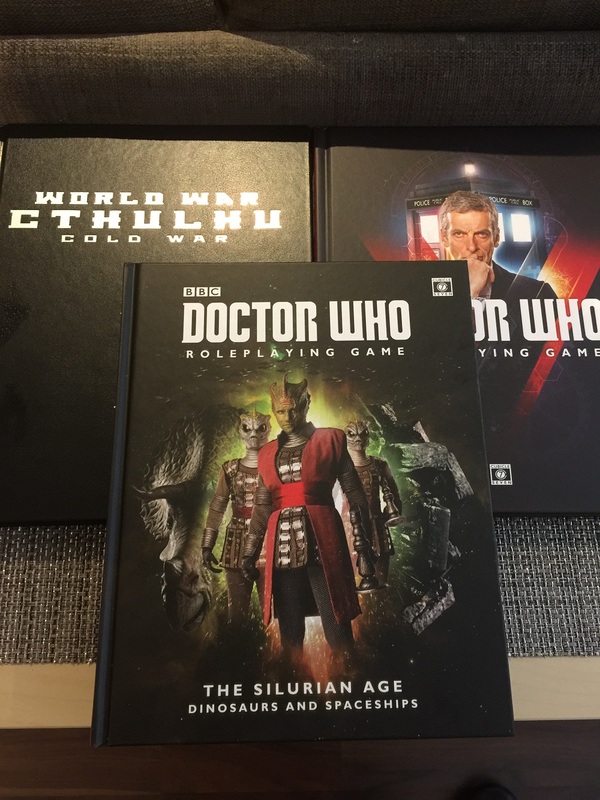 My author copies of World War Cthulhu:Cold War, Doctor Who: The Silurian Age and Doctor Who: The Awesome Disreputable Older Punk RPG all arrived this week. It’s been so long since I worked on these that I’m a little fuzzy on what exactly I did for Cold War. That being said the Israel and Syria missions look familiar and the whole book is an excellent purchase if you like your mythos with a dash of Le Carre-ian vengeance or vice versa. Likewise, on first scan I can’t pick out my work for the rulebook but I’m in there somewhere. 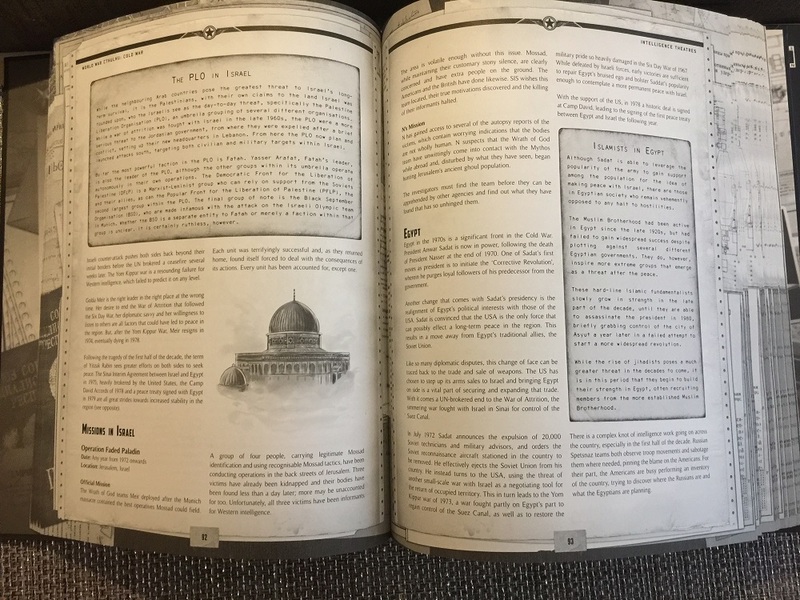 The first two editions of the game were crammed full of some really elegant rules and design and I’m sure a good chunk of it, some of mine, got folded from the supplements into the core book. This though? This I remember. 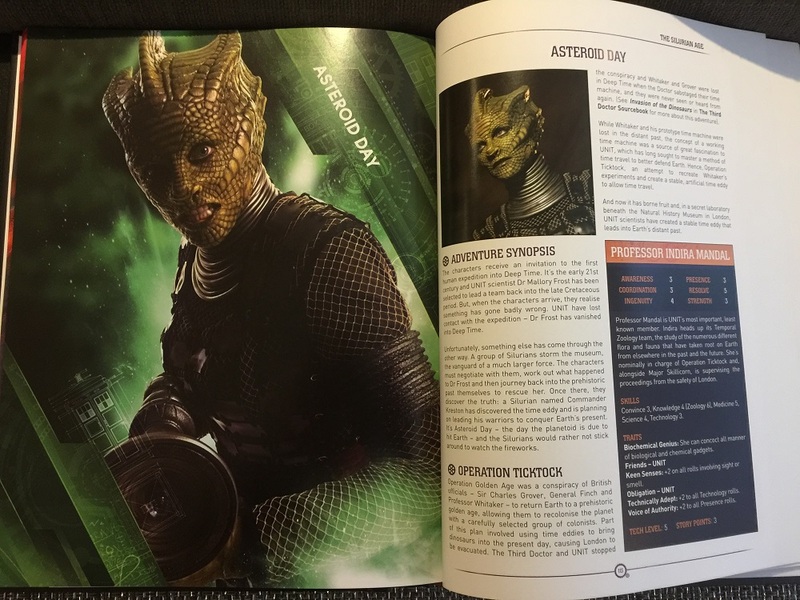 Published in The Silurian Age source book, ‘Asteroid Day’ is a full length adventure set on the day the asteroid hits Earth. It pits the Doctor and his companions against not only, well, massive asteroid-y death but a Silurian coup, an attempted invasion from the past and a UNIT time machine. I actually wrote a sequel too, which folded in some of the characters from ‘Cold War’ but that didn’t make the cut. Given ‘Asteroid Day’ has 1000% more hover chases and dinosaur stampedes though, I can see why. These were fun to do and if you’re a gamer you should absolutely pick them up. They were work for hire so I’ll get nothing beyond the initial check. But you, you’ll get hours of fun for your campaign. And the odd hover bike chase of course.